Amazon is a global retail giant, and that means a lot of customers to satisfy. 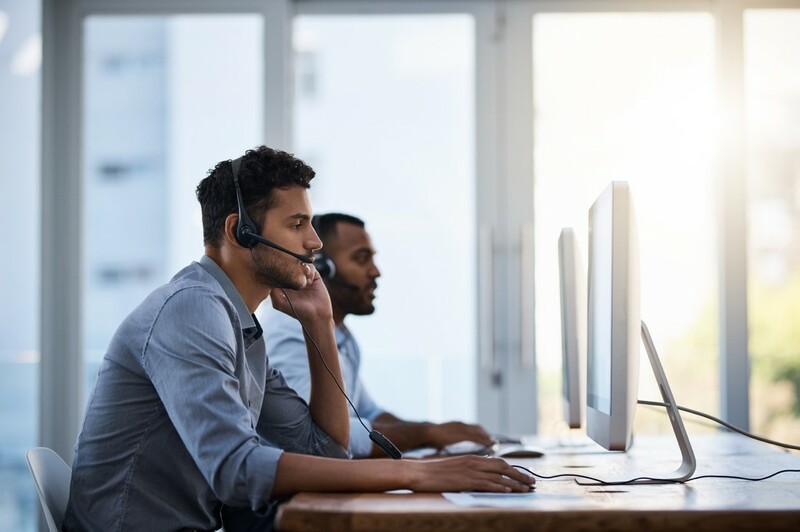 Their AWS Connect call center model is completely cloud-based and helps them maintain their position as a consumer favorite. When people are blogging about how to steal your ideas to succeed, you know you’re on the right track. This is the kind of success that Amazon enjoys, and number 5 on that list shows just how seriously they take a seamless call link between their advisors and their customers. Amazon released Connect in March 2017 and quickly began to make inroads into cloud-based contact center software. In fact, they were ahead of the curve. Call center solutions of this kind are still in the minority, but IDC research shows that will change in the next few years. Global spending on cloud-based infrastructure is expected to hit $210 billion this year and $370 billion by 2022, the research found. E-commerce sales boomed last year and saw Amazon enjoying a lion’s share of the gains. Even with such huge consumer demand, the AWS Connect model is helping them stay on top as a consistent customer service favorite. Now is the perfect time for companies to follow suit and consider Connect as their customer contact solution. Here’s how your call center can put Amazon’s expertise to work and organize agent queues through the cloud. Customers pay by the minute – Connect is pay-as-you-go and needs no on-premise hardware. There are no monthly fees regardless of how many agents are connected. Being on demand means Connect customers also enjoy lower costs on any associated telephone services while avoiding upfront charges and long-term commitments. It’s very user-friendly – Even the least tech-savvy agent can easily use Connect’s drag-and-drop simplicity to create and manage their contact flows. Its default routing profiles and business-ready templates can have agents online and taking calls within minutes. Open platform – Many call centers are reluctant to make changes to their infrastructure due to the hassle of integrating a new model. Connect is fully flexible and can easily work with your existing customer management system. Powerful scalability – Connect can grow or shrink in scale, adapting quickly to your call center’s flow demands. Simply add or remove agents as needs require. Artificial intelligence – Three of Amazon’s technologies can operate within Connect to improve the customer experience. Amazon Lex allows for lifelike chatbots, Amazon Transcribe simplifies speech-to-text, and Amazon Comprehend makes in-depth customer data analysis easy. Real reliability – Connect is part of Amazon’s own infrastructure, with all the reliability that implies. The service operates globally in 18 geographic regions and 55 availability zones, far exceeding the fault tolerance of a single data center. When you’ve made the decision to integrate Connect, your first step is to appoint an administrator. This person will be responsible for adding users to the queue, generating and managing metrics, and setting permissions. This last responsibility is vital for the security of your data and for other forms of resource management. Different agents will require different levels of access to data and metrics. Connect makes sure every team member has only the level of clearance needed to do their job. Some will only need to check a few details in the dashboard, so view-only access is enough, while others may have to access previous calls to get information. A manager, for instance, will have a lot of reading/write clearance and be able to access Connect to view saved reports and listen in on calls (if call recording has been enabled). Once all the proper permissions have been assigned to each agent, Connect allows your team to choose their preferred type of contact flow from a variety of options; for example, a customer hold flow “manages what the customer experiences while the customer is on hold,” while a transfer agent flow “manages what the agent experiences when transferring to another agent.” The interface allows agents to drag and drop elements to create a customized environment via the content flow editor as well as generate call reports. A routing feature recently added to Connect increases customer satisfaction by allowing calls to be directed to one agent in particular. Previously, callers were simply plucked from a queue that was handled by multiple agents. This is no longer the case thanks to measurable customer metrics, and the change is a great bonus for companies for two reasons. First, it builds trust and rapport between callers and agents. Second, it saves a great deal of agent time and customer frustration by eliminating the need to reiterate details from previous calls. Connect goes further in building those important little bridges by storing customer metrics. As an example, when a customer calls for a second time, an agent will be able to integrate previously gathered data into their contact flow. This will allow them to greet that caller by name and be aware of their issue. Connect can make a big difference to a call center with practically zero disruption to their existing operations. You can review the Amazon Connect Administrator Guide for a complete summary of the service. We’d love to partner with you and help integrate Connect into your operation. CloudHesive is here to help your business make the most of the cloud. From consulting and development to security and service management, it’s all in one place. Contact us for more information on how your call center can leave hardware behind for greater success.